Many people think they can tell what their blood glucose (sometimes called blood sugar) levels are by how they feel. But, some people can feel “high” when their blood glucose levels are low, and some can feel “low” when their blood glucose levels are normal or high. The only way to know for sure is to test your blood glucose levels. A blood glucose test measures the amount of a type of sugar, called glucose, in your blood. Glucose comes from carbohydrate foods. It is the main source of energy used by the body. Insulin is a hormone that helps your body’s cells use the glucose. Insulin is produced in the pancreas and released into the blood when the amount of glucose in the blood rises. Normally, your blood glucose levels increase slightly after you eat. This increase causes your pancreas to release insulin so that your blood glucose levels do not get too high. Blood sugar testing or self-monitoring blood glucose provides vital information for diabetes management. 2017 Daily Diabetic Calendar: BONUS: Doctor Appointment Reminder – Keep Record of Daily High and Low Blood Sugar Readings on an easy to see Calendar! You can also get an important glimpse into the future. If your blood sugar is too high for too long, you could be at risk for long-term complications such as blindness, heart disease, and amputations. By testing your blood sugar regularly, you can track the effectiveness of your medication, make informed decisions about meals and exercise, and head off problems such as high blood sugar or low blood sugar (hypoglycemia) before it’s too late. While glucose meters can help keep track of your blood sugar tests, writing down the results will make it easier for you and the diabetes management team to see patterns and trends. This will help you better understand the link between food, exercise, and blood sugar levels, and also help you and the health care team make any needed adjustments to the diabetes management plan. Illness or stress can trigger high blood sugars because hormones produced to combat illness or stress can also cause your blood sugar to rise. People who do not have diabetes can make enough extra insulin to keep their blood sugar in a normal range during times of stress and illness. People with diabetes may need to take extra diabetes medication to keep their blood sugar near normal during times of illness or stress. Stress and illness can cause the body to release epinephrine (adrenaline), glucagon, growth hormone, and cortisol. As a result, more glucose is released from the liver (glucagon, adrenaline) and the body can become less sensitive to insulin . Personally, I have found exercise, time outdoors enjoying nature, and a relaxing hobby to be most helpful against combatting stress. In some cases, people are much more insulin sensitive right before getting sick and can tend to run low blood sugars. If you haven’t been given special instructions on how to manage your diabetes medications during illness, please contact your healthcare provider for advice. Regular blood glucose monitoring is recommended when people are taking medications that may affect blood glucose levels. All diabetics should be monitored for signs and symptoms of high blood glucose levels (excessive thirst, frequent hunger, frequent urination, fatigue, or weight loss). Fasting blood glucose levels should be tested if symptoms of elevated blood glucose levels develop. If signs and symptoms of high blood glucose levels are present or if fingerstick readings are unusually high, consult with a doctor. Your meter measures the total amount of sugar in your blood. The level is expressed as milligrams of glucose (sugar) per deciliter of blood (mg/dl). A person without diabetes would normally have a reading below 100 on an empty stomach and below 140 two hours after a meal. The basic goal for people with diabetes is a reading between 70 and 130 on an empty stomach and less than 180 two hours after the start of a meal. Your diabetes educator may set different targets for you. Don’t be discouraged, for example, if your blood sugar levels are higher than you expect; work with your health care team to get those numbers down. Do call your doctor if your blood sugars are unusually high or low — he or she will want to know about these changes and help you adjust your treatment program so that you stay out of trouble and reach your goals. Blood glucose testing is easier, less painful, and more accurate than ever. Blood sugar levels can be tested with a blood glucose meter, a computerized device that measures and displays the amount of glucose in a blood sample. To get a blood sample, a small needle called a lancet is used to prick the skin (usually on a finger or the forearm) to draw a drop of blood. The drop of blood is placed on a testing strip that goes into the glucose meter, and the blood glucose reading appears on a screen within a few seconds. 1.Wash and dry your hands—using warm water may help the blood flow. 2.Turn on the meter and prepare a test strip as outlined in your owner’s booklet. 3.Choose your spot—don’t check from the same finger all the time. 4.Follow the manufacturer’s instructions to prepare the lancing device and get a drop of blood from the side of your fingertip or other approved site. 5.Check your blood sugar by touching and holding the test strip opening to the drop until it has absorbed enough blood to begin the test. 6.View your test result and take the proper steps if your blood sugar is too high or low, based on your healthcare professionals recommendations. 7.Discard the used lancet properly into a sharps container. 8.Record the results in a logbook, hold them in the meter’s memory or download to a computer so you can review and analyze them later. Always follow the manufacturer’s instructions for your blood glucose meter. Check the expiry date on all diabetes testing supplies. How do you know which glucose meter to use? Most people with diabetes choose the type of equipment covered by their insurance plans. However, many types of glucose meters are available with different features. Cost: Although most insurance plans cover the cost of glucose meters and test strips, there may be a limit to the number of test strips they cover (and test strips are the most expensive part of monitoring blood sugar levels). Make sure you know what your insurance will cover before investing in a glucose meter. User-friendliness: Choose a glucose meter that is easy to use and maintain. For example, a glucose meter that doesn’t require large blood samples might be better for young kids, while an easy-to-calibrate meter might be better for teens taking on more of their own diabetes care. Glucose meters that take less time to give results may also be preferred. Special features: Glucose meters are available in both large, easier-to-handle sizes as well as small, more portable sizes. Other features may include memory storage and the ability to record additional information like date, time, food intake, and exercise. The ability to download glucose readings into a computer program is an attractive feature for many families. Other new technologies make it easier to keep track of blood sugar levels. Adjustable lancets can make finger pricks less painful by changing the depth to which the needle enters the skin. Certain glucose meters can use blood drawn from a forearm or other body parts that may be less sensitive than a fingertip. In some cases, a doctor might want to get an even more detailed look at blood sugar level fluctuations. 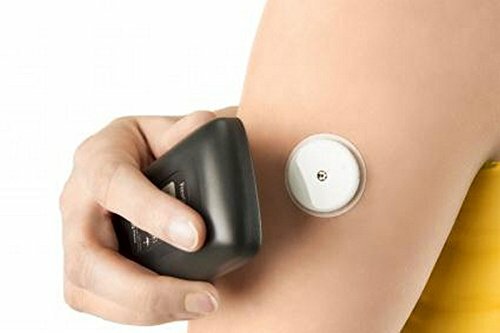 Continuous glucose monitors (CGMs) are wearable devices that measure blood sugar every few minutes throughout the day and night by using a sensor that is inserted under the skin. By providing a more detailed profile of blood sugar levels, CGMs can help some people with diabetes do an even better job of “fine-tuning” their blood sugar control. Your diabetes health care team will help you choose the best type of equipment for you. 1.Fasting blood sugar (FBS) measures blood glucose after you have not eaten for at least 8 hours. It is often the first test done to check for prediabetes and diabetes. 2.2-hour postprandial blood sugar measures blood glucose exactly 2 hours after you start eating a meal. This is not a test used to diagnose diabetes. This test is used to see if someone with diabetes is taking the right amount of insulin with meals. 3.Random blood sugar (RBS) measures blood glucose regardless of when you last ate. Several random measurements may be taken throughout the day. Random testing is useful because glucose levels in healthy people do not vary widely throughout the day. Blood glucose levels that vary widely may mean a problem. This test is also called a casual blood glucose test. 4.Oral glucose tolerance test is used to diagnose prediabetes and diabetes. An oral glucose tolerance test is a series of blood glucose measurements taken after you drink a sweet liquid that contains glucose. This test is commonly used to diagnose diabetes that occurs during pregnancy (gestational diabetes). Women who had high blood sugar levels during pregnancy may have oral glucose tolerance tests after pregnancy. Another important test checks for ketones, chemicals that show up in the urine and blood after the body breaks down fat for energy. The accuracy of a blood glucose monitor can be affected by several factors, including the type of blood glucose strip and monitor. Check the accuracy of a blood glucose monitor occasionally by bringing it to visits with a healthcare provider when blood work is done; use your home monitor to check your blood sugar at the same time that blood is drawn. When comparing glucose monitor results with those from a laboratory, there should be no more than a 15 percent difference; larger differences may indicate a problem with your monitor, blood glucose strips, or your monitoring technique. Blood glucose meters — Blood glucose meters are reasonably accurate. However, there can be some variability from one unit to the next, so it is always wise to exercise caution and common sense when using the readings from these machines. As an example, if a reading does not fit with your symptoms (or lack of symptoms), take a second reading or use an alternate method for testing your blood sugar (such as a different meter). Blood glucose meters are least accurate during episodes of low blood sugar. Alternate site testing — Blood sugar results can be less accurate if you test at places other than the fingertips (eg, arm, hand, leg). This should not be a problem if you always use one site. However, when the blood sugar is rising rapidly (eg, immediately after eating) or falling rapidly (in response to insulin or exercise), testing at alternate sites may give significantly different results than a fingerstick reading. In these situations, fingertip testing is preferred. Help for people with vision impairment — People with vision impairment sometimes have difficulty using glucose meters. Meters with large screens and “talking” meters are available. Blood glucose monitoring alone does not improve your diabetes. It is how you use the information from your glucose testing that makes the difference to your diabetes control. It is very important that blood sugar levels are kept as close to normal as possible. For most people with diabetes, a healthy range is between 90 and 130 mg/dl before meals and less than 180 mg/dl at one to two hours after a meal . 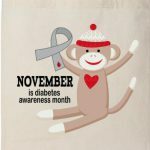 To learn more about the complications associated with diabetes refer to Diabetes Ireland Website. My mother is a Diabetic. I found your website to be very informative. It is very well laid out and easy to maneuver through. So happy you found this website helpful. If you or your mother would like any more information included in this site please let me know I would appreciate your feedback! It’s really hard to tell what’s my blood sugar level based solely on how I feel. It can be deceiving. Not only the sugar level can increase after I eat, but my blood pressure goes up, too. Can a person who is healthy and not a diabetic buy a glucose testing equipment and monitor herself/himself? Or is the testing strictly for diabetes? I think it will be interesting to keep track of my blood sugar level even if I usually don’t have an issue with it. Yes anyone can buy a blood glucose monitor and test their blood glucose levels.You dont have to be a diabetic. It’s a very good idea for everyone to keep a check on their blood sugar levels as its a good indicator of a persons overall health and whether they have prediabetes! I have to say that this is very comprehensive information. As a diabetic myself, I am aware of most of the information in your article, but somethings actually refreshed my memory. Can you shed some light on how stress can impact on your blood sugars? Now, I control my blood glucose by diet and oral medication. I haven’t had to use insulin. i have been controlled for quite a while. My A1C is 6.2. Thanks for sharing this information. I think newly diagnosed people will find this information very useful. The good thing about it is that all the information is right in one place. You have asked a good question.”Can you shed some light on how stress can impact on your blood sugars”? Stress can be experienced as physical pain or illness, and can also be triggered by situations such as an accident, the death of a friend or relative or confrontations with other people. Stress can be considered as anything that tends to change the control that you have over your body and your emotions. When you’re stressed, your body is primed to take action. It triggers your blood sugar levels to skyrocket. Under stress, your body goes into fight-or-flight mode, raising blood sugar levels to prepare you for action, If your cells are insulin resistant, the sugar builds up in your blood, with nowhere to go. When stressed, the body prepares itself by ensuring that enough sugar or energy is readily available. Insulin levels fall, glucagon and adrenaline levels rise and more glucose is released from the liver. At the same time, growth hormone and cortisol levels rise, which causes body tissues (muscle and fat) to be less sensitive to insulin. As a result, more glucose is available in the blood stream. When you have type 2 diabetes, stress makes your blood sugar go up and become more difficult to control and you may need to take higher doses of your diabetes medications or insulin. Stress also can affect your blood sugar levels indirectly by causing you to forget about your regular diabetes care routine. When you’re stressed out, you might,exercise more or less,eat more or less,eat less healthy foods,not test your blood sugar level as often,forget or delay a dose of medication and/or insulin. Simple relaxation exercises and other stress management techniques can help you gain more control over blood sugar. Combat stress with a variety of techniques:,Spend time with God praying and reading the Bible,Exercise regularly,Progressive muscle relaxation, deep breathing as well as by stopping high-tension thoughts. Seek out a local stress-relief class, offered by many adult-education programs.One key aspect of reducing the effects of stress on your blood sugar level is to take time-out for yourself. Rest is essential for your health and psychological well-being. Be sure to tell your doctor you’re starting a stress-reduction program. If you take diabetes medication, he may want to adjust your dose so that you don’t end up with dangerously low blood sugar levels. Hope this information is helpful and well done on your excellent Hba1c number! Interesting about the different options available to people who have this, along with some advise on how to manage it. I think thorough accurate information and correct treatment plan would go a long way in helping people to manage this. Your site gives a lot of information which will help people. Thanks for the positive feedback about this website. The main goal of diabetes treatment is to keep blood sugar levels in the normal or near-normal range. Checking your blood sugar is one of the best ways to know how well your diabetes treatment plan is working. Self-blood glucose monitoring allows you to know your blood glucose level at any time and helps prevent the consequences of very high or very low blood sugar. Monitoring also enables tighter blood sugar control, which decreases the long-term risks of diabetic complications.